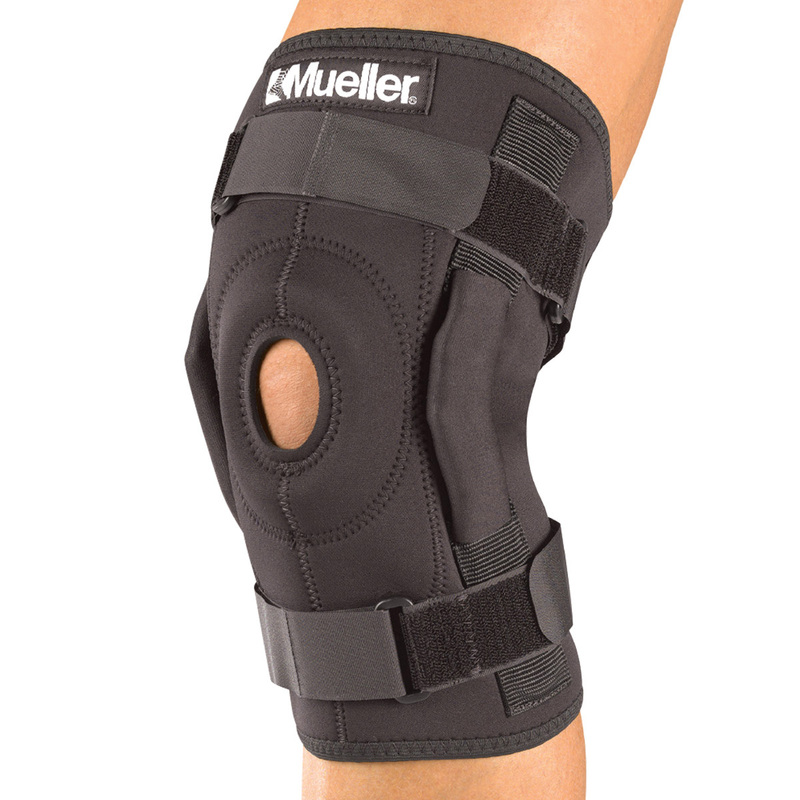 A great support from Mueller, the Hinged Wraparound Knee Brace offers protection, support and mobility. 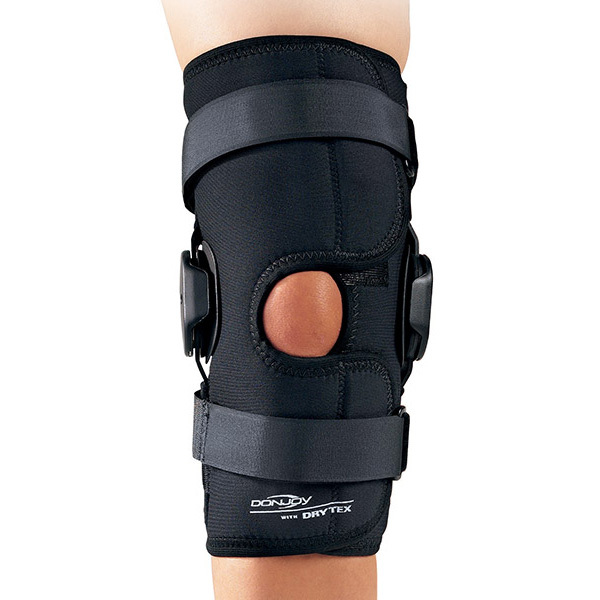 Lightweight, comfortable and robust the hinged knee support is ideal for many knee injuries. Offering maximum support for weak or injured knees providing medial/lateral support without restricting mobility. The Triaxial metal hinges allow for 94% of the natural movement of the knee and protect from hyperextension. 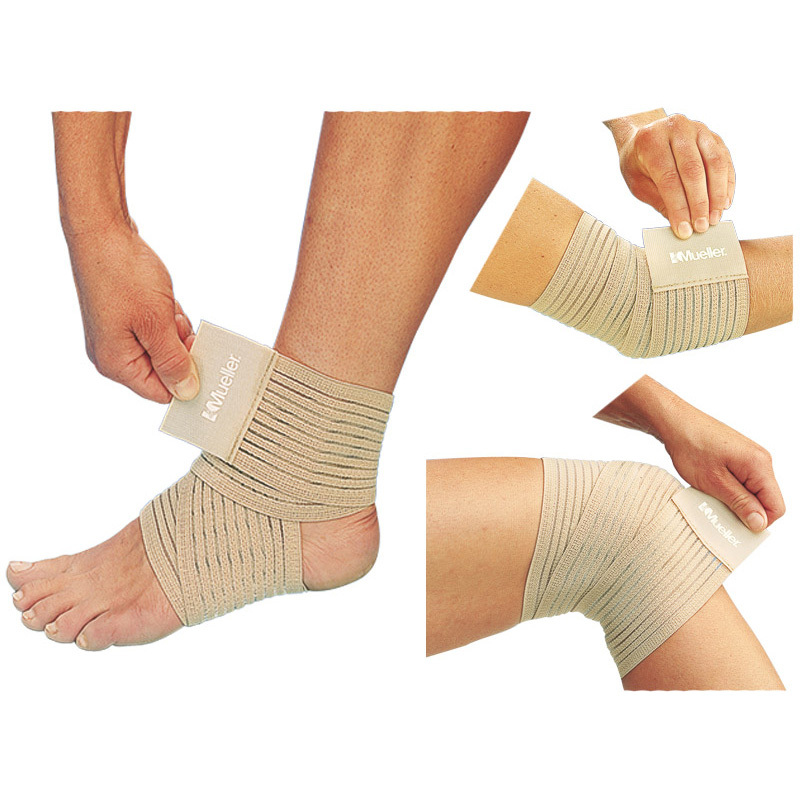 Designed for mild to moderate medial/lateral support. Recommended for moderate stability and support for knee ligament meniscus injuries, sprains and osteoarthritis. 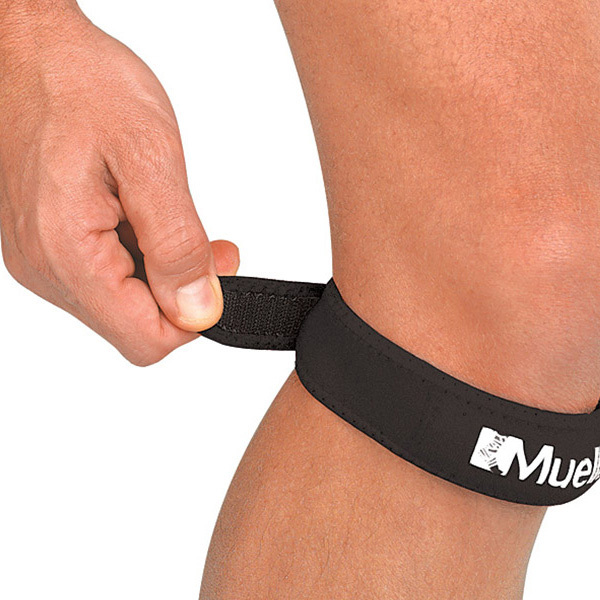 Relieves patellar pain caused from frequent impact such as running and jumping. Suitable for mild to moderate ACL and or/PCL, MCL and LCL instabilities. 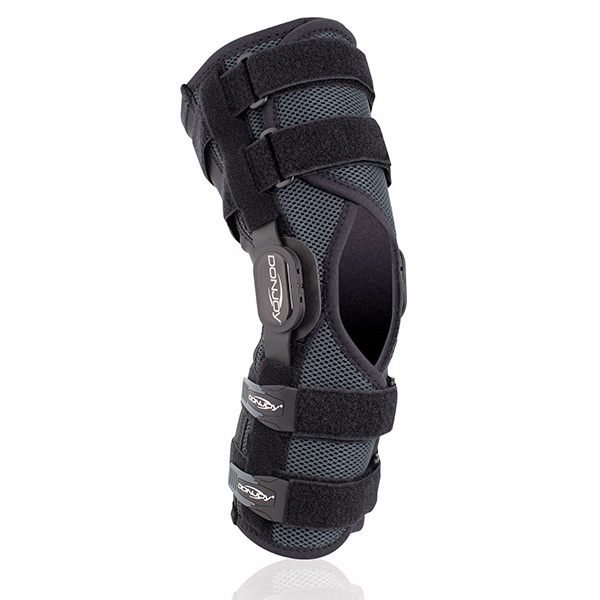 This neoprene brace with extended hinge bars is an ideal intermediate-level product that can be used in sporting activities.